Biomedical advances of the past century have changed the patterns of illness in industrialized countries dramatically. No longer are infectious diseases such as tuberculosis, cholera, rubella, and smallpox major contributors to population mortality. Rather, the leading causes of morbidity and death today are related to chronic stress and unhealthy lifestyles (Mokdad, Marks, Stroup, & Gerberding, 2004). For example, in 2004 cardiovascular diseases and cancer alone accounted for close to 60% of all deaths in Canada (Statistics Canada, 2007). Other chronic conditions such as diabetes, rheumatoid arthritis, and high blood pressure are major contributors to illness and disability (Schultz & Kopec, 2003). Of continuing public concern is also the widespread prevalence of health risks associated with smoking, alcohol abuse, and obesity (Single, Rehm, Robson, & Truong, 2000; Yach, Stuckler, & Brownell, 2006), as well as the growing health-care costs tied to a spectrum of medically unexplained physical symptoms, including chronic fatigue, fibromyalgia, and migraine headaches (Kirmayer, Groleau, Looper, & Dao, 2004; Park & Knudson, 2007). In line with these trends, contemporary models of disease construe health and illness as a complex outcome of biological, psychological, and social factors (Engel, 1977; Suls & Rothman, 2004), with a particular emphasis on the role of emotions in these processes (Mayne, 2001; Salovey, Rothman, Detweiler, & Steward, 2000). 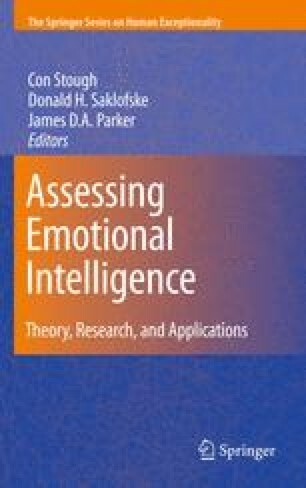 Within this framework, the key areas of interest concern the direct physiological links between emotions, stress, and disease (Ader, 2007; Kiecolt-Glaser, McGuire, Robles, & Glaser, 2002), and the moderating role of individual differences in the way people perceive, experience, and cope with distressing experiences (Baum & Posluszny, 1999; Lazarus, 1999; Smith, 2006).